– Honestly, I think this is a scandal. 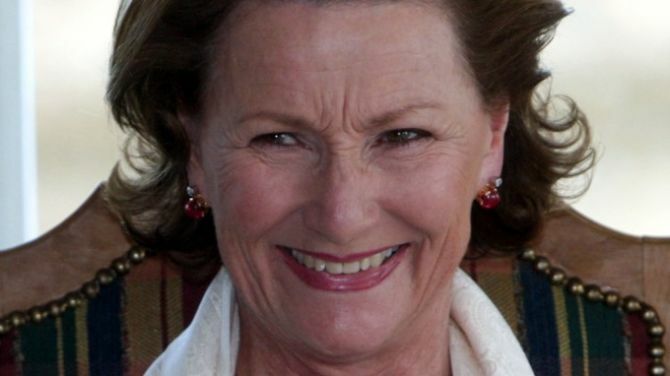 The International Raoul Wallenberg Foundation harshly condemned Queen Sonja for her homage to Hamsun, says VG. In a letter addressed on Thursday to the Royal Family, the Foundation questions the Royal Family, specially the Queen. – Honestly, I think it is a scandal that the Norwegian Queen takes part on this celebration of Knut Hamsun. There were many Nazi geniuses, but I do not know about anyone who has been honored by a leader – says the International Raoul Wallenberg Foundation’s founder, Mr. Baruch Tenembaum, to the journal. The International Raoul Wallenberg Foundation expressed its position against the celebrations of what would be Knut Hamsun’s 150th birthday. – This is a man who handled his Nobel Prize to Goebbels, and who was evidently a Nazi. We do not understand the necessity of such celebration – states Tenembaum, among other things, according to the journal. Within a few weeks, Mette-Marit will inaugurate the Hamsun Center in Nordland. Tenembaum believes this is terrible. The Royal Family has not been willing to make any comments on the subject. Previous article: Scandal in the Norwegian Royal Family. Queen Sonja pays homage to a Nazi.